SEO tactics are a dime a dozen these days. The devils in the details so we’re going to simply skip it. You know that Quacito.com takes process automation to the next level, delivering customized results to each client, and helps companies achieve their dreams. SEO is nothing more than a process: Search – Engine – Optimization (SEO) is simply a fancy way of saying, “process to find my business”. Rather than relying on an unknown source for your SEO needs, or approaching a cheap firm that claims to be the next Google itself, we invite you to speak with us as you normally do about how we can meet your specific needs. The following are some general principles you should follow when building SEO results. Remember, there are good practices that achieve great results, and BAD practices, that can result in getting removed from Google! When in doubt – Google what you are attempting. Every business has a unique brand identity, but conveying that to your clients isn’t always easy – especially for a web guy who doesn’t know your customers (and doesn’t know you!). If you convey this message appropriately, Google is getting better & better at recognizing how natural a message is. If customers and clients consistently return to your website and are often visiting for information or sharing information with friends, you can bet that Google is aware that your site is bringing value to consumers. Does it really matter if they found you through their friend Betsy or the top of Google? Not if they’re both converting to paying customers! You know your product as an “Ozone Generator”. Your client knows it as a “car cleaner thing”. Restaurant = food now. Car Services = stupid car won’t start. You get the idea, but let me be frank: You’re TOO close to your business to think like a customer. So are your family and friends. Why, you ask? Because they likely think similarly to you. It is important, therefore, that you ask an outside party or a diverse range of your customers so that you can understand how their brain thinks. Our SEO consultants will provide you with a full audit (including keywords) to let you know your pitfalls and help you to identify the best keywords that match the needs of your potential customers. Improving keyword usage will result in better internet search engine placement, bringing more traffic to your business and enhancing lead generation and sales. With our SEO experience, we’ll help incorporate strategies that will enable you to reach new markets OR fine tune your demographic base for more targeted conversion results. Which would you rather have? 1,000 people find your business and none ever convert (or tell a friend) OR 100 people find your business and 50% convert? Well, you can have your cake and eat it too with Quacito. We’ll help you expand and refine which will optimize your time with quality leads by working directly with you to review your dreams, obstacles, and build a plan of action. Search engine marketing is one of the most cost effective marketing solutions that is often performed by the wrong organization or individual. Achieving basic results is easy these days – but basic results don’t put you ahead of your competitor – they put you behind them. Whether you have a local or global audience, let us help you get measurable results with SEO. Our team understands the importance of business improvement – we aren’t proposing to make you the industry wikipedia – we will help you improve your bottom-line. Our team for SEO services in San Antonio, Texas has helped business all over the world increase their rankings, but more importantly, their revenues. A perfect SEO strategy forms a base for brand and reputation management but also includes processes that make your website attractive to new prospects and existing customers. What are your prospects looking for in a website? What are you customers looking for in a website? How can your website change to benefit your current customers? Call us today to hear what we’ve experienced and learned from your industry. 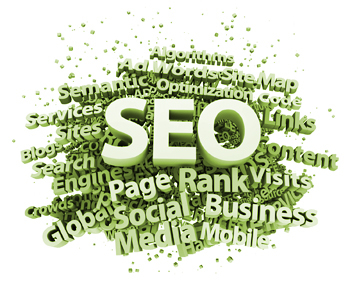 Get the best Search Engine Optimization consulting now!